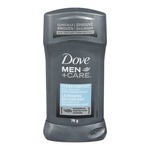 I gave it to my fiance and here's his review: "It has a nice smell and it is long lasting. It isn't overwhelming. You don't need to use that much to smell great. I would definitely buy this product." 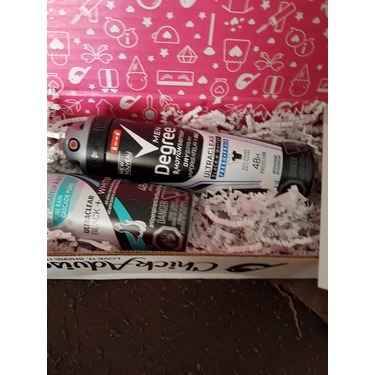 I gave this to my brother in law to try as I received this complimentary for testing purposes. He rated it as average. Nothing special about it apart from the scent which I found a bit strong when I sprayed it on to try it as well but he liked it. He doesn't smell it throughout the day as he moves around however he does not have a physically exhausting job. He does need to spray more when he plays volleyball at night. He says he won't mind buying it if it's on sale. 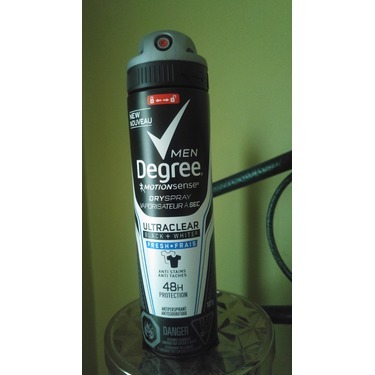 I am writing this review on behalf of my hubby who actually tried out the Degree Men Ultraclear Antiperspirant. He had a problem with the spray making him cough whenever he used it. The sc ent is fairly strong when you first spray it but it does quickly calm down somewhat. 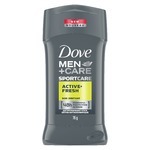 Unfortunately it did not keep him as dry nor as fresh smelling as his usual antiperspirant. My partner was excited to finally get to try something from chick advisor. 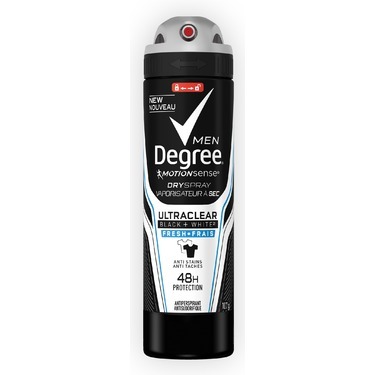 He had never tried a spray deodorant and was excited to try Degree as he has used the stick one Degree Men for as long as he could remember. He wasn't aware that it had to be shaken so vigorously to get it to work as it should. 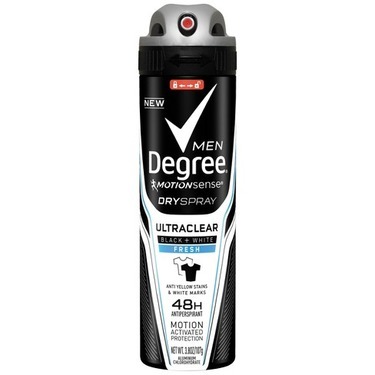 He was also not sure how much he needed to spray on for all day protection. 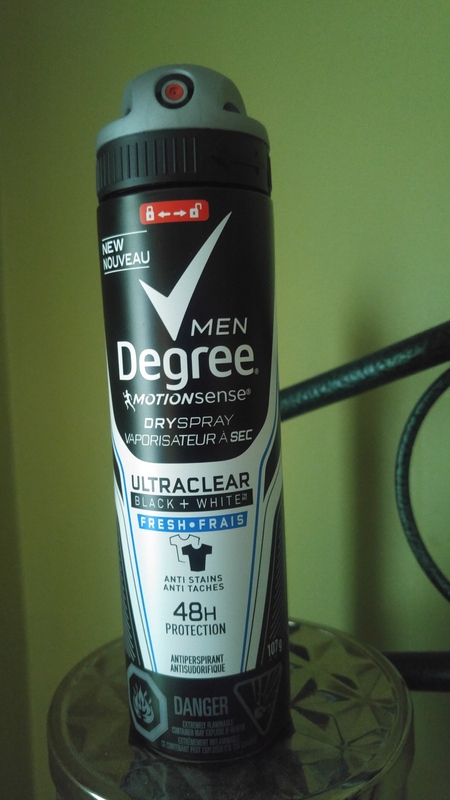 He also mentioned that he is positive this spray deodorant does not give 48 hour protection. Maybe 24 hours but, definitely not 48 hours. - Spray bottle has a lock nozzle for easy transport in gym bag. 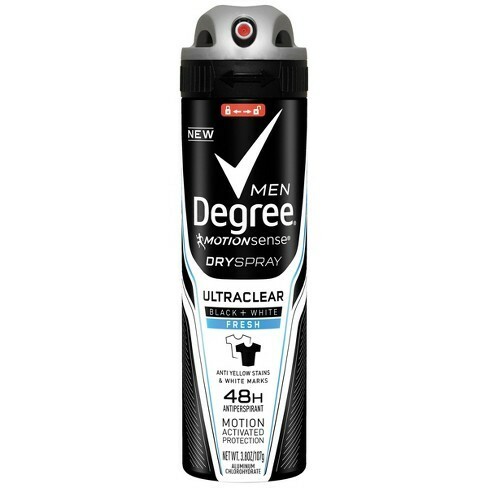 In general he raved about the scent of Degree Spray but he would not purchase it again. Excellente tenue tout au long de la journée et ce malgré les différentes activités sportives réalisées. L'odeur se remarque plus. Bonne efficacité du produit. Vraiment pratique et rapide à appliquer. 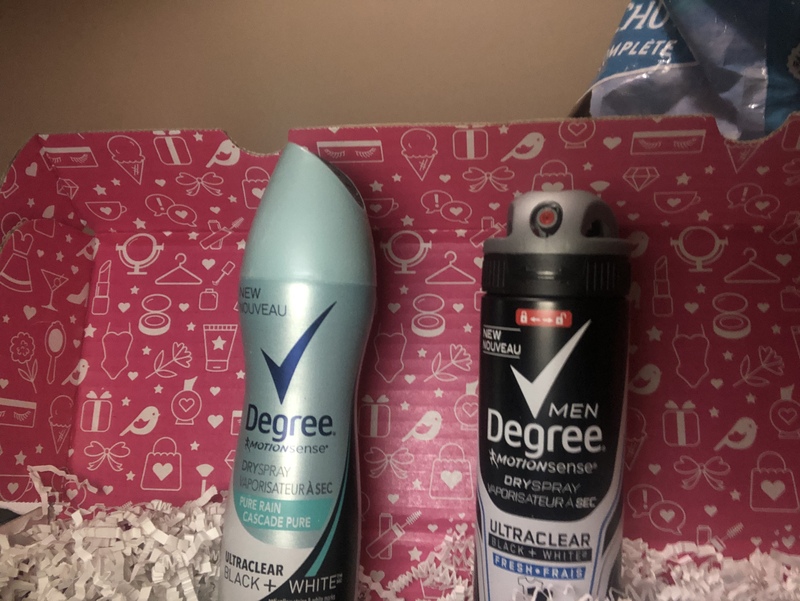 I received this product, but for obvious reasons, my husband tried it. He said the parfume doesnt stay on strong and it works perfectly all day for him. 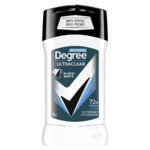 He will buy it back, because he told me it's one deodorant that worked the best for him. 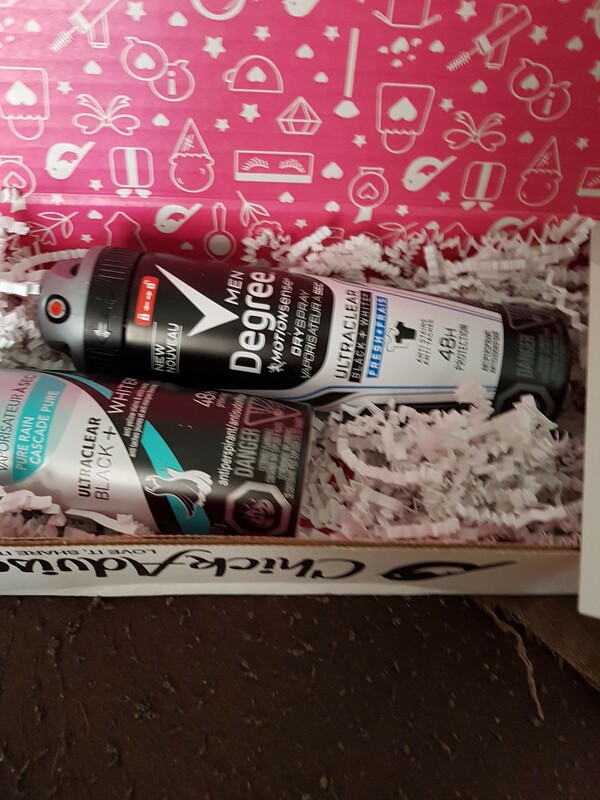 I am writing this review on behalf of my husband who received this antiperspirant spray complimentary, to review for ChickAdvisor. First off, he liked the packaging. Nothing to flashy or gaudy. Nice black and white sleek spray cannister. 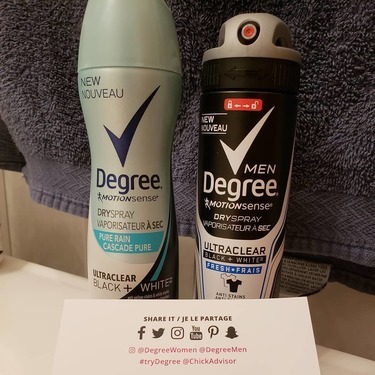 He's not typically an overtly sweaty guy, but he found this product did what it said it would do: kept any gnarly wetness at bay. The scent was WAY too strong. It didn't please him, but it didn't give him a massive headache like it did for me. I asked him to please go change and try to get that stuff off his underarms, it was friggin killing me. If you or your partner aren't sensitive to heavy scents, I'm sure this would be fine.